Vodafone & Telstra: Who has the best ‘unlimited data’ phone plan? Unlimited data phone plans are here. Yes, that’s right! 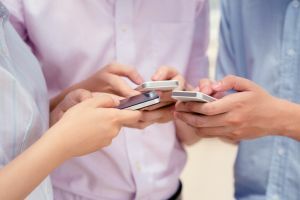 Two of Australia’s network carriers –Vodafone and Telstra – have their own phone plans with ‘unlimited’ data – though ‘unlimited’ is a grey area, so what does it actually mean? This type of deal has been common in the UK and US for a couple years now – and we’re finally catching up. If you’ve seen them advertised, they all look pretty similar, so what are the differences, and what’s the catch? See how they stack up below. Both telcos offer some form of ‘unlimited’ data phone plan, but what are the catches? The biggest ‘catch’ is the fact that speeds are throttled to 1.5Mbps after a certain amount of data use, with the exception of Telstra’s Ultimate Unlimited plan, with unlimited full-speed data available for $199 per month. Source: Respective retailer websites, March, 2019. Vodafone has come to the game with a small, but impressive selection of unlimited data phone plans. There are three plans to choose from – $50, $60 or $80. With these plans you get either 60GB, 40GB (plus 60GB bonus data) or 80GB (plus 70GB bonus data) of full-speed data. With full speed data you get access to the limits of the full Vodafone 4G network. After that, speeds are throttled to 1.5Mbps – Vodafone says this is enough for standard definition streaming and most other applications. Users can also get up to 20,000 Qantas Frequent Flyer points each month. These plans are available as both SIM-only plans (on a 12-month contract) or bundled with a new device (on a month-to-month contract). While the price points are the same, the only difference is that the $50 plan includes 50GB of high-speed data. If you choose a plan with a phone, even though it’s a one-month contract, if you choose to cancel after that month, you will need to pay off the remaining cost of your handset. Below are a selection of Vodafone’s SIM-only plans with unlimited, capped data. This table includes links to a referral partner. Telstra offers a similar ‘unlimited’ capped data offering on a range of SIM-only postpaid plans along with plans bundled with phones. However Telstra does also have the one truly unlimited plan, the Ultimate Unlimited plan, which doesn’t cap speeds and has no data limit. This plan, while a steep price of $199, is available bundled with a handset, and no matter which device you choose, you won’t have an additional handset charge added on. SIM only deals cost $69 and $89 a month, for which you get 60GB or 90GB full-speed data respectively; after that it’s slowed to 1.5Mbps. If you’re looking to bundle a plan with a phone, both the $99 L plan and $129 XL plan includes ‘peace of mind’ data, while the two smaller plans bundled with phones, will require an additional $10 per month to add it on. The Ultimate Unlimited plan is the only plan around with truly unlimited data, however at $199 per month, this might be out of your price range. Other extras include data-free streaming of the AFL, AFLW, NRL, Netball and A-League through their respective game-pass apps, accessed with full-speed data at all times, plus data-free streaming of Apple Music. You’ll also gain access to the Telstra Air WiFi network, with over a million hotspots across Australia. With Telstra you get unbridled access to the 4GX network and its maximum speeds for your included data. Whether you’re looking for a SIM-only plan or a plan with a phone, you’ll be able to find a plan with unlimited data in some form. However these plans are on 12 or 24-month contracts, so you will be locked in for a while. The below table includes Telstra’s plans that come bundled with a new device. These are sponsored links. Optus was the first to drop an unlimited phone plan, called ‘Unleashed’. However, while the telco had withdrawn the plan only to offer it again later, it currently doesn’t offer any plans with unlimited data. Optus does included data-free streaming of music and mobile TV (including Netflix and Stan) on select plans, sometimes at an additional cost or for $0, depending on the plan. If you mostly use your data for video streaming, you might find good value with an Optus plan. As a dark horse, Optus’ phone plan was the first to kick off the unlimited mobile data hype, but today it’s probably barely worth a mention as only a select few Optus customers could sign up to it, and the plan is no longer active. Perhaps down the track, Optus will come back to the table an offer a new plan with unlimited data in some shape or form. 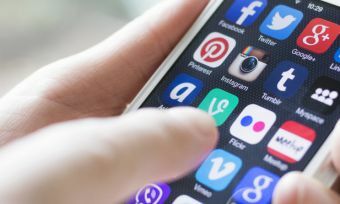 The Australian Competition and Consumer Commission (ACCC) has cracked down over what constitutes ‘unlimited’ data, threatening fines for misleading advertisements. The end result is that all three telcos have removed ‘unlimited’ from its advertising. The telcos have instead opted for terms like ‘full speed data’, ‘data at no extra cost’ and so on. Vodafone has then described its plans as ‘endless’ data — avoiding the prickly term ‘unlimited’ altogether. ACCC Chair Rod Sims said that this crackdown has put the three telcos on notice. “With much higher penalties now available for breaches of consumer law, I hope they will take their obligations more seriously. From now on consumer law penalties will seriously affect their bottom line, and we will not hesitate to seek the highest possible penalties,” Mr Sims said. Overall, while data could still technically be described as ‘unlimited’, the fact is after a certain amount, data is speed-capped, with the exception of Telstra’s Ultimate plan. If you’re interested in one of these phone plans, it’s important to read the Critical Information Summary to know how much full-speed data you’re getting and if there are any further restrictions. What provider has the best ‘unlimited’ data phone plan? It’s pretty much a two-horse race between Vodafone and Telstra, and it’s pretty tight but with a couple of marked differences. Vodafone arguably provides more data for your money, with no plans exceeding $100 a month, unless bundled with a new phone. Vodafone has 12-month SIM only plans, the same as Telstra, while if you bundle with a handset, Vodafone’s plans are month-to-month (however if you cancel, you’ll still need to pay the remainder of your handset), while Telstra’s phone plans are 24 months. Telstra offers the only plan with full-speed unlimited data bundled with a new phone — you won’t have to pay any additional monthly cost for the handset as this plan is $199 per month. Telstra really shines when it comes to its extras. You’ll get access to data-free streaming of the most popular sports in Australia, as well as data-free music streaming through Apple Music, as well as Telstra Air – the network’s Wi-Fi hotspots littered around cities. Vodafone does offer data-free streaming entertainment extras, however you’ll need to add on an additional $5-$15 a month to access. Which carrier’s phone plan is better is totally up to you and what your needs are. Do you value flexibility, or do you value a host of extra data-free goodies that can see your full-speed data go further? The decision is yours.